The year-long Rockman EXE 15th anniversary celebration comes to E-Capcom with exclusive goods. Starting today, fans can pick up a limited water color print illustrated by Ryuji Higurashi and a Roll/Mr. Prog mug. Orders will be accepted until late June, early July. 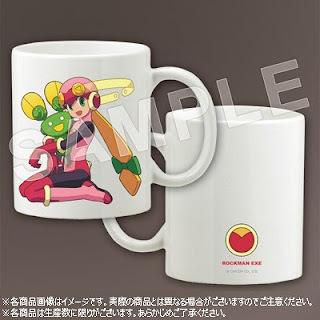 The print and mug represent "volume 1" of exclusive E-Capcom products slated to debut over the next few months. 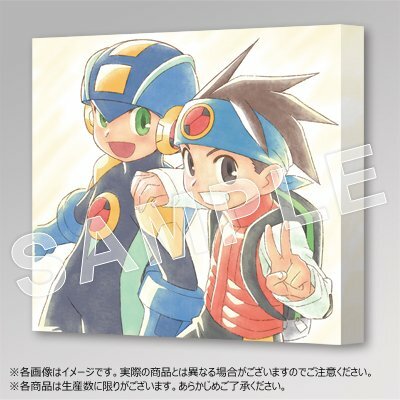 It's unlikely we'll see these particular products outside of E-Capcom... but hey, there's always eBay! The water colour print looks nice, not sure if is worth the price though. $110 or close to that. Why is Roll.EXE cuddling the heck out of that Mr. Prog? Ooooh man I want both of these so badly. I need that Roll art, now.